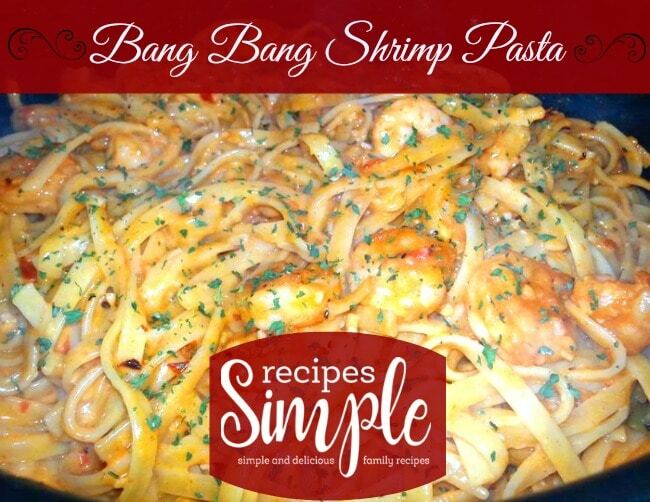 Toss together this Bang Bang Shrimp Pasta for the creamiest pasta dish with a kick of heat and tasty tangy goodness! Cook and drain fettuccine pasta. In a large bowl, toss shrimp with garlic, paprika and pepper. Cook shrimp on medium heat for 3-4 minutes if using cooked shrimp and 7-10 (or until cooked through) if using raw shrimp. Add cooked pasta to shrimp and stir. Add in sauce and lightly toss to coat pasta and shrimp. Cook until heated through and flavors blended.